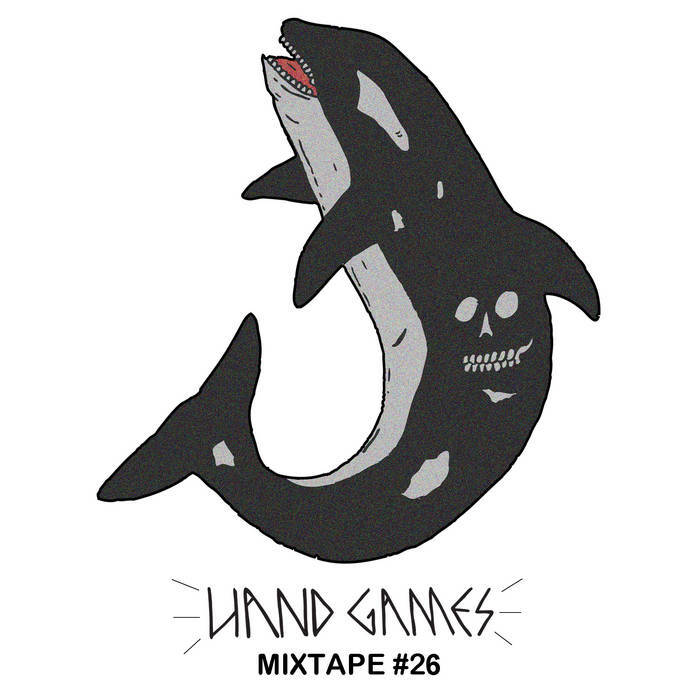 Hand Games is a Sydney-based organization that compiles mix tapes, publishes a music zine. organizes parties, manages talent and books shows. Their monthly mix tapes collect tracks from emerging Australian musical talent, and makes them available for free download. Here for you listening pleasure is the October version, officially known as Hand Games Mix Tape #26. Some of the artists will be familiar to regular readers of this blog, many others likely will be new discoveries. One of them is the excellent Terrible Truths, whose debut LP will be featured here soon. Test out a few tracks below or stream the entire tape, including the electro-pop "Frogs", the slinky dance pop of "Avocado Galaxy" and Royal Headache's wonderful "Carolina". Downloads are available at the Bandcamp link. It now is fall, with overcast skies, rain spitting with a force that is hard not to take personally, chill winds and extended darkness. Sometimes the best way to deal with it is to listen to music that travels the dark side. And we have a good one for you. Covering dark folk and Americana songs born of old battlefields, murders, dangerous whaling voyages and even more dangerous coal mines, Am I Born To Die? is the perfect album for the season. It also is a musical creation that works on many levels - an archive of Americana music, excellent stories, suburb musicianship, as well as that delicious dark shading. With all of that going for it, I expect it is likely to be an album you'll cue up whenever the mood it right. And for those who like their musical stories a bit on the messy side, be assured that there is plenty of blood, heartache and death. 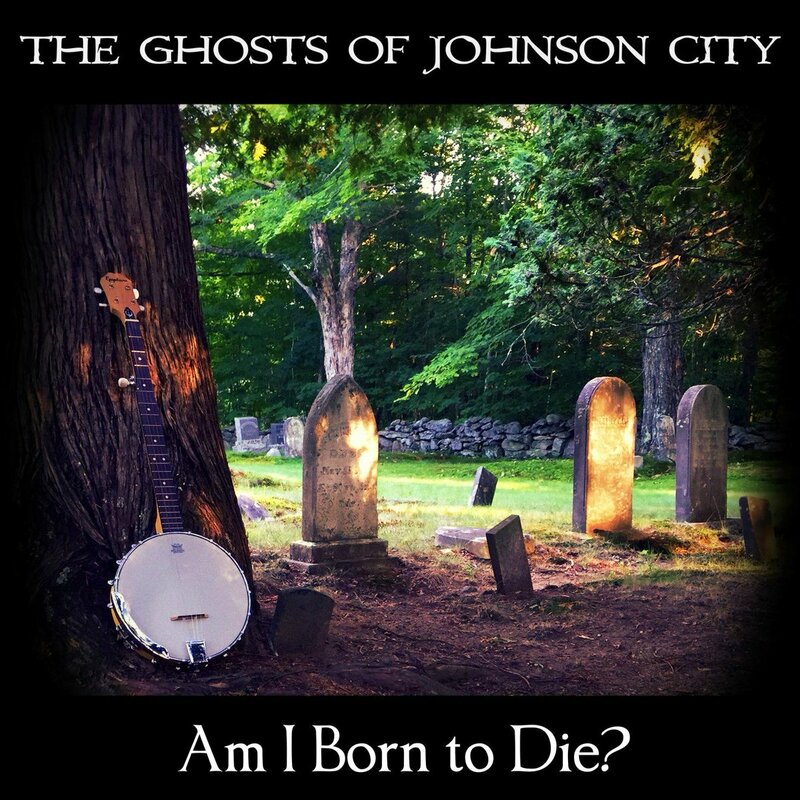 The album is the work of The Ghosts of Johnson City, which is comprised of Portland, Maine-based musicians Amos Libby (banjo/lead vocals), Douglas Porter (guitar/vocals), Erik Neilson (baritone ukulele/vocals), and Erik Winter (harmonium). You can buy the album in CD or digital formats at the CD link below. But for true appreciation, visit the band's website for lyrics and other information about the tracks. Stream it below. A few fingers of Rye aren't required, but it couldn't hurt. CD Baby site for Am I Born To Die? We here at WYMA are fans of Tuff Love, so we are happy that the Glasgow duo is preparing a new EP titled Dregs. As with their most recent past releases, Dregs will by out via Lost Map Records. Interested to hear where Tuff Love is going? Check it out "Carbon" below. To my ears it has a more overt moodiness than much of their prior work, but retains their delightful guitar and bass sound and spot-on dreamy harmony. The Creeping Bent Organization is a record label and arts collective, headed by musician, producer, and all-around musico, Douglas MacIntyre. Affiliated bands include Sexual Objects, Fire Engines, Jazzateers, The Sexual Objects, and today's featured artists, Port Sulphur. Affiliated record imprints include We Can Still Picnic, which has featured on these pages previously. We don't know much about Port Sulphur. They have been described as an electronic collective, although they seem to be a pop/rock group as well. My introduction was via the raucous, and totally danceable, gem "Fast Boys & Factory Girls", which was released in June. That single followed by ten months a three track release titled EP1, which was released by We Can Still Picnic. On EP1 the band covered PIL's "Poptones", with Erik Sandberg featuring on vocals, the Fire Engines' "Discord" with Russell Burn, and Alex Harvey Band's "The Faith Healer" with poet Jock Scot providing the vocals. Enjoy, and if you are interested, see the Bandcamp links below. I don't know whether any of Alan, Patrick, or Paul -- the trio that comprise Baltimore trio Expert Alterations -- could cuff my trousers or fix the labels on my suit jacket. But when it comes to writing a jangling guitar song these guys are ace. Their debut album, You Can't Always Be Liked, is packed with perfectly crafted pop gems. The lyrics are smart, and the tunes are fast and tight with the bass and drums driving the songs. While the C-86 style of indie pop has been ascribed to their work, there is a hint of punk and a scrappy undercurrent to the proceedings, and I find more similarities with the more aggressive path taken by bands such as The Clean, The Wedding Present, The Feelies and some of the smart guitar pop bands that Glasgow seems to produce on a regular basis. Breezy songs with a hint of anxiety, a sturdy backbone and a jangling guitar. This is perfect stuff! You Can't Always Be Liked is out on October 30 via Kanine Records in digital, CD and vinyl formats. Long-time member of Bay Area band Dreamdate, Yea-Ming Chen now fronts the precious Yea-Ming and The Rumours. Why should you care? Perhaps because the following two songs, which provide a preview of their upcoming December release are wonderful. With elements of folk, jangle pop and country, sweet vocals and angelic harmonies, Yea-Ming, Eoin, Anna, and Sonia make your day sound so much better. I've also embedded their previous single below. What's on the menu today? Slop, that's what's on the menu. But this is special slop - dreamslop all the way from Livingston, Scotland. Yes, indeed, Andrew R. Burns & The Tropicanas have delivered Delaydeez, with three more lo-fi, reverbed gems of vaguely tropical dream pop. Chill and relaxed, it is the perfect backdrop for your Monday. Specifically, a way to pretend that your Monday still is Sunday, and this feeling of being at work is just an illusion. The EP is available via Glasgow label Flowers In The Dustbin - see the Bandcamp link below. Andrew R. Burns & The Tropicanas are Andrew Burns (vocals), Joe Murty (bass), Ru Macpherson (drums), and Joe White (guitar). 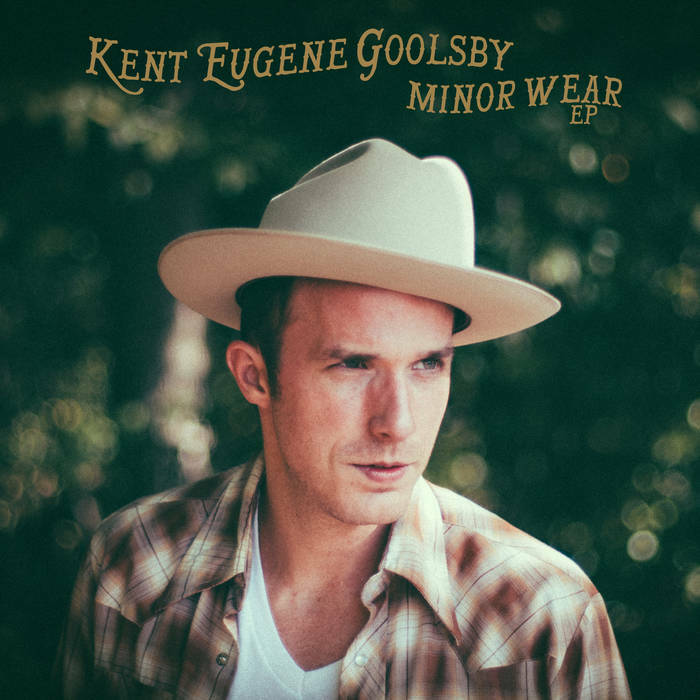 Less than four months after celebrating Kent Eugene Goolsby's No Substitute For Handsome (review here), the country boy has delivered the Minor Wear EP. Comprised of four tracks of KEG's introspective country/folk gems, it is available for the even popular 'name your price' at the Bandcamp link below. Stream the entire EP at the Bandcamp link. The skeptical can test drive two tracks below. The players on Minor Wear are Goolsby (vocals/guitar), Mark Sloan (guitar/pedal steel), Spencer Duncan (bass), Tyler Coppage (drums), and Anna Leigh Goolsby (vocals). The record was recorded, mixed and mastered by Joey Kneiser.